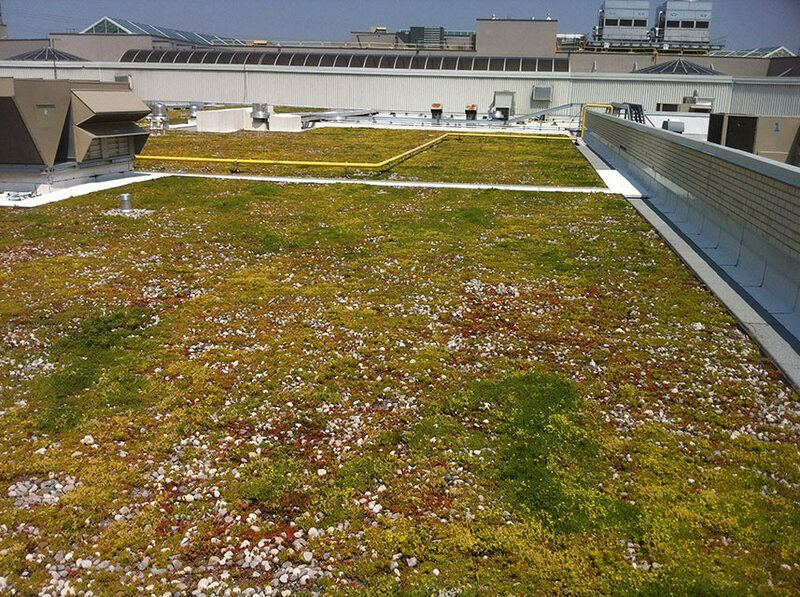 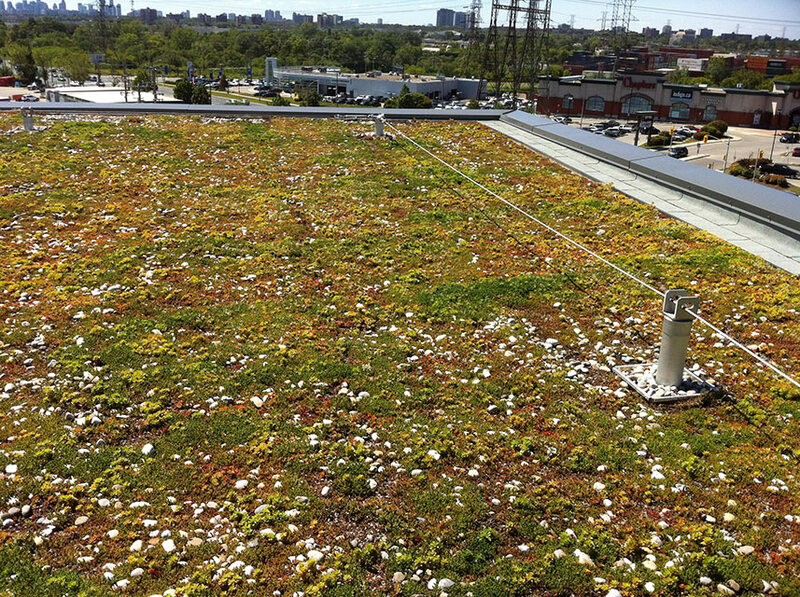 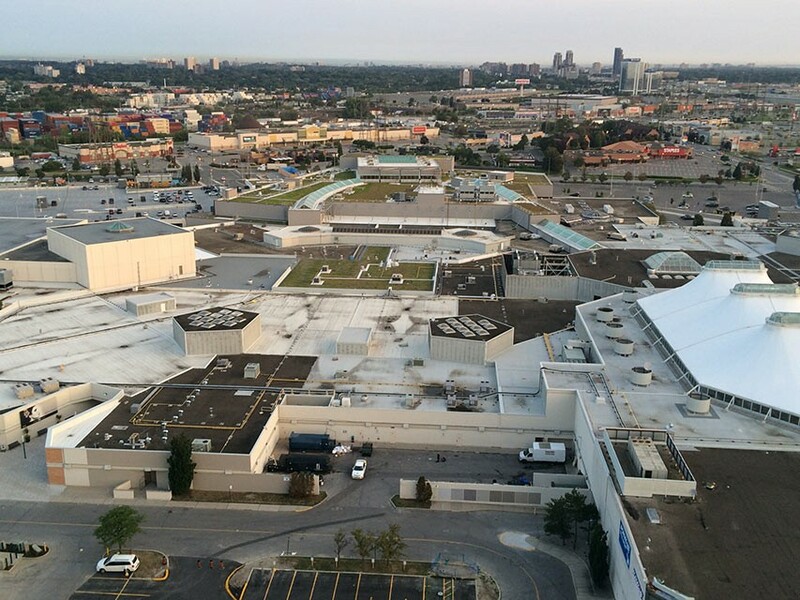 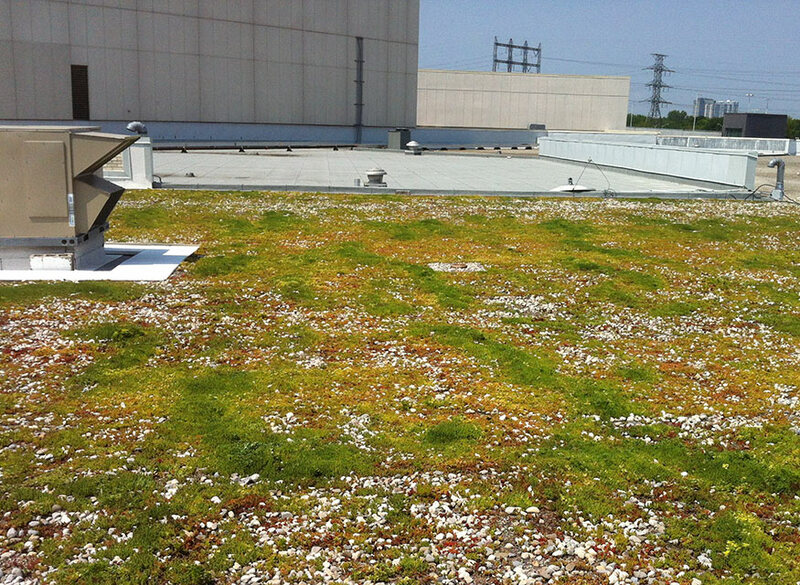 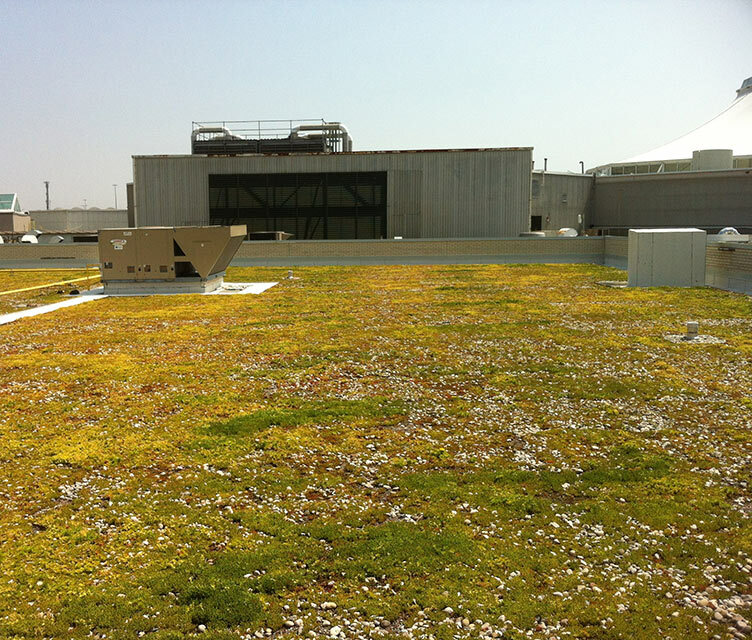 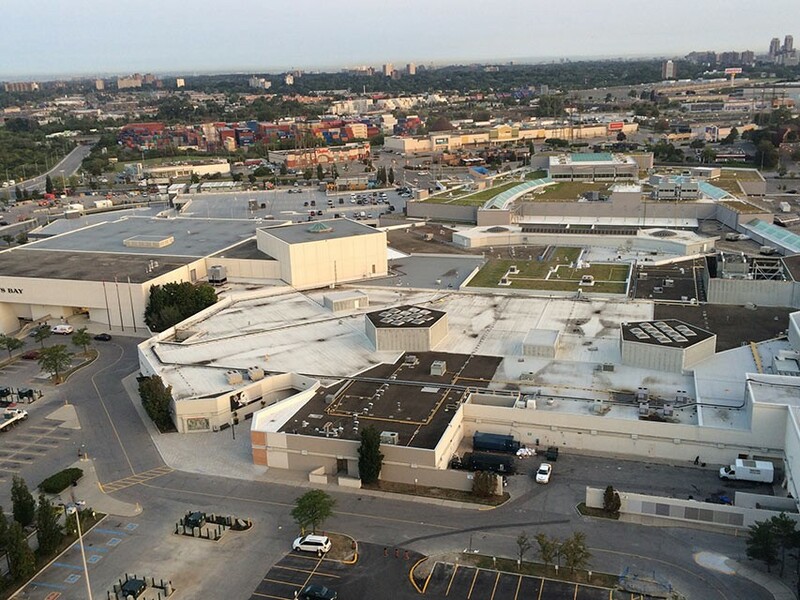 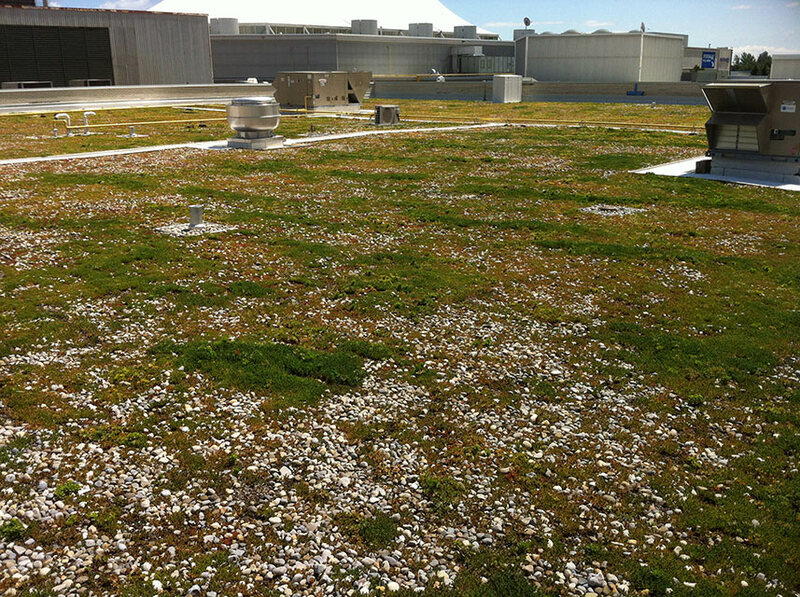 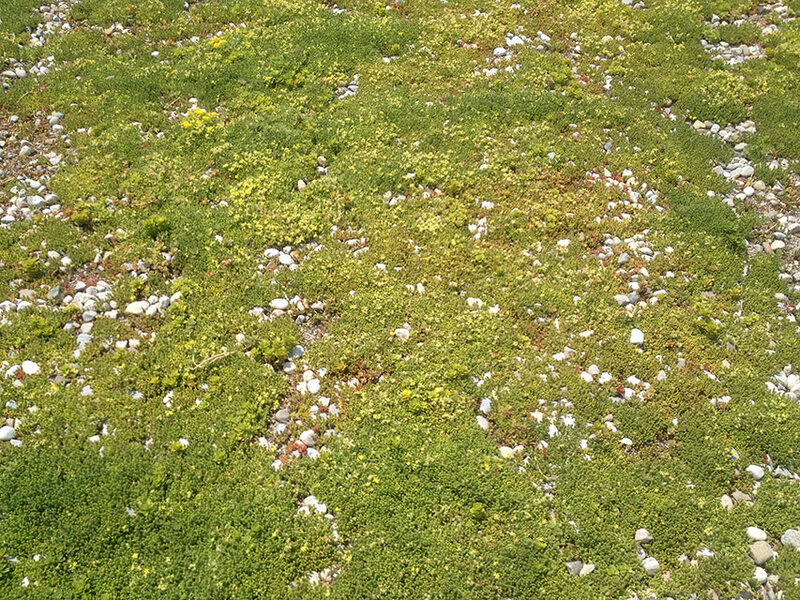 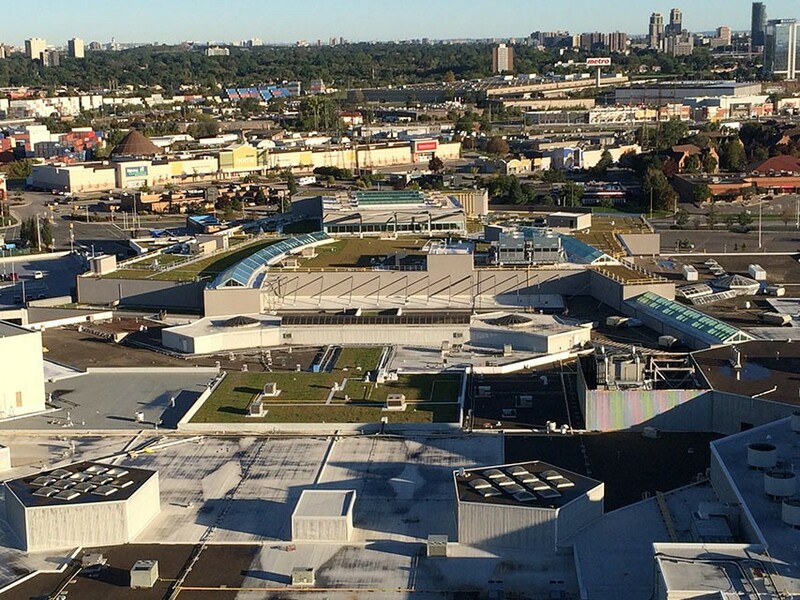 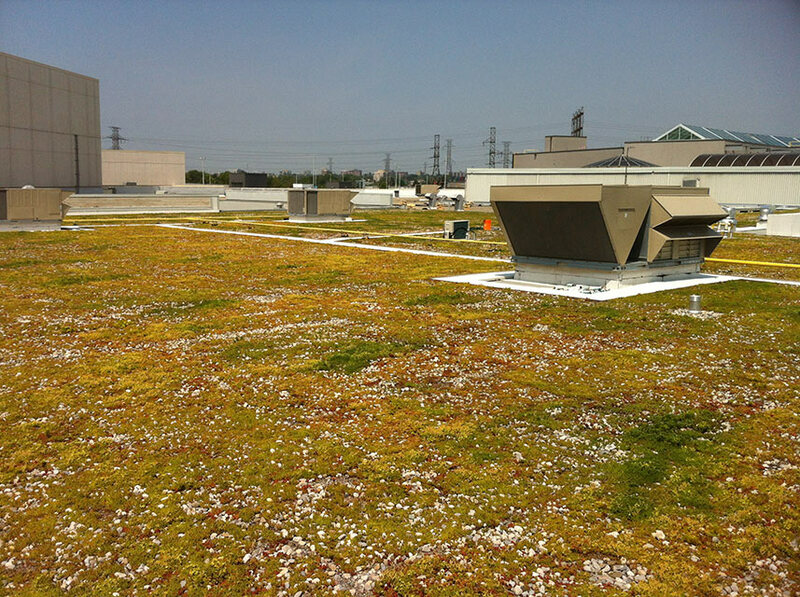 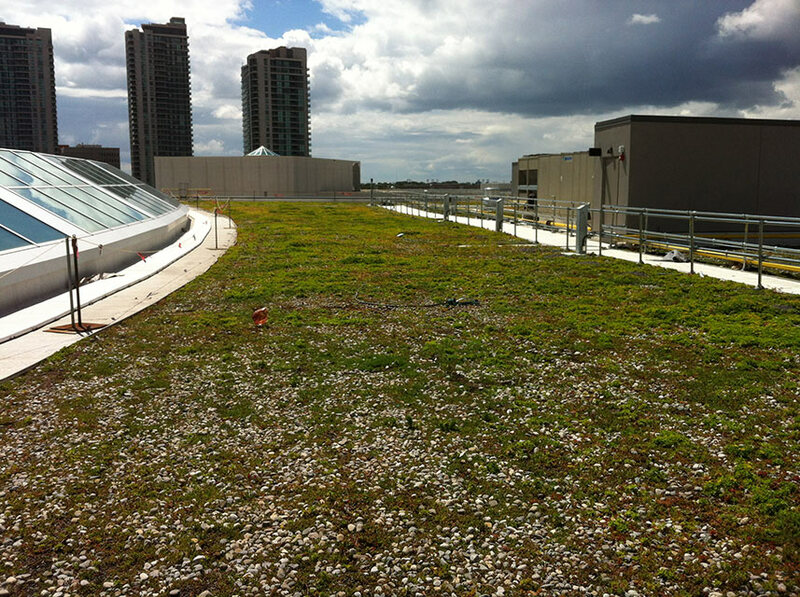 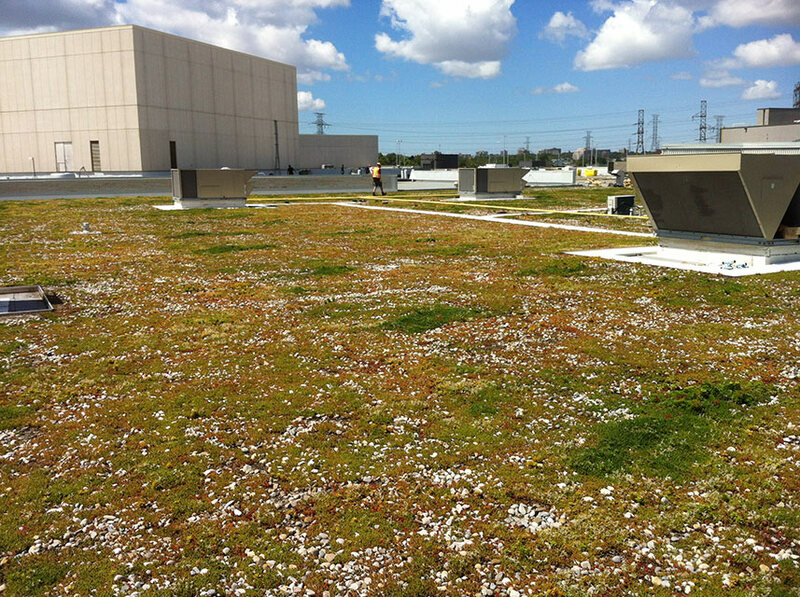 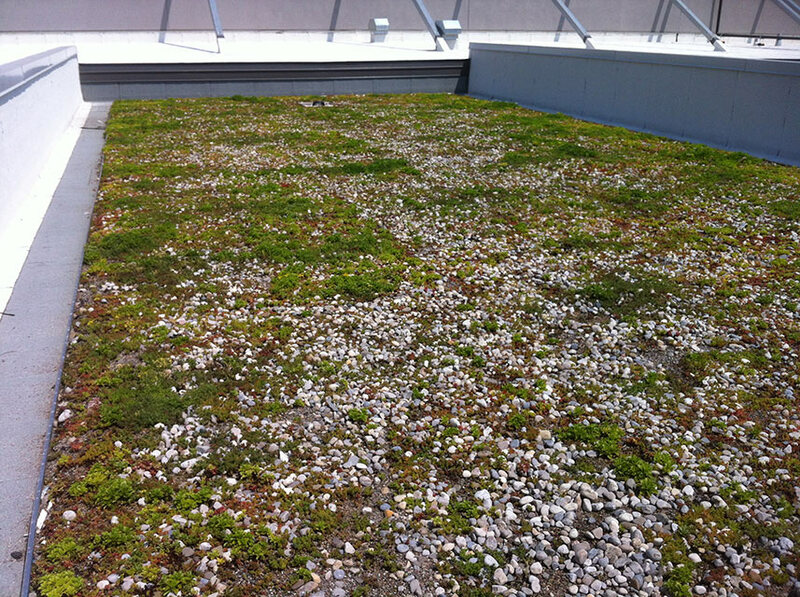 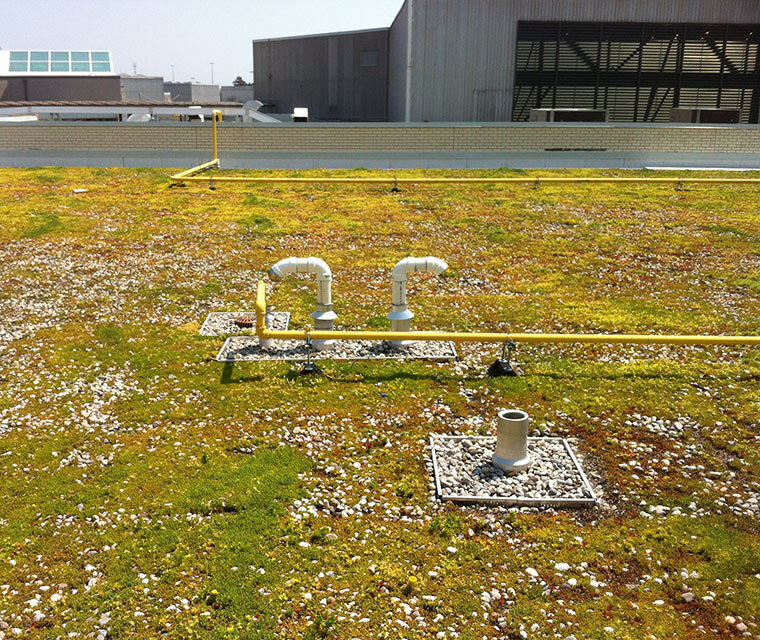 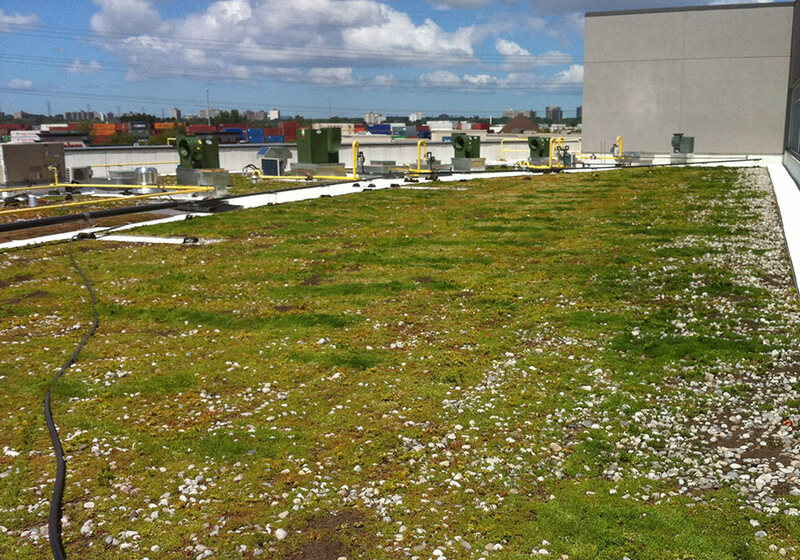 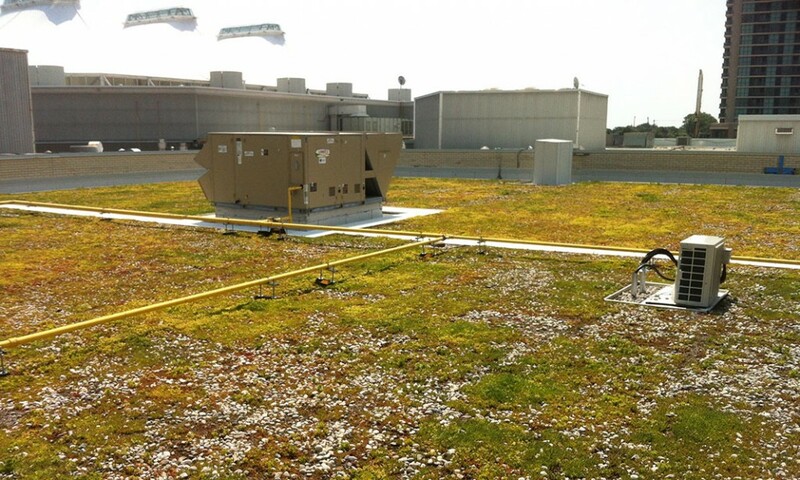 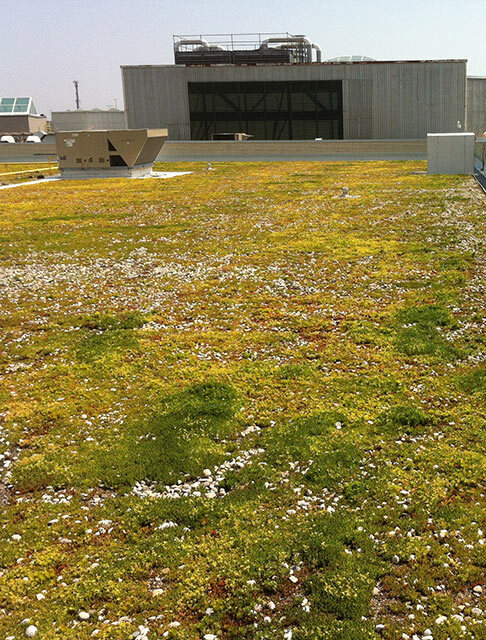 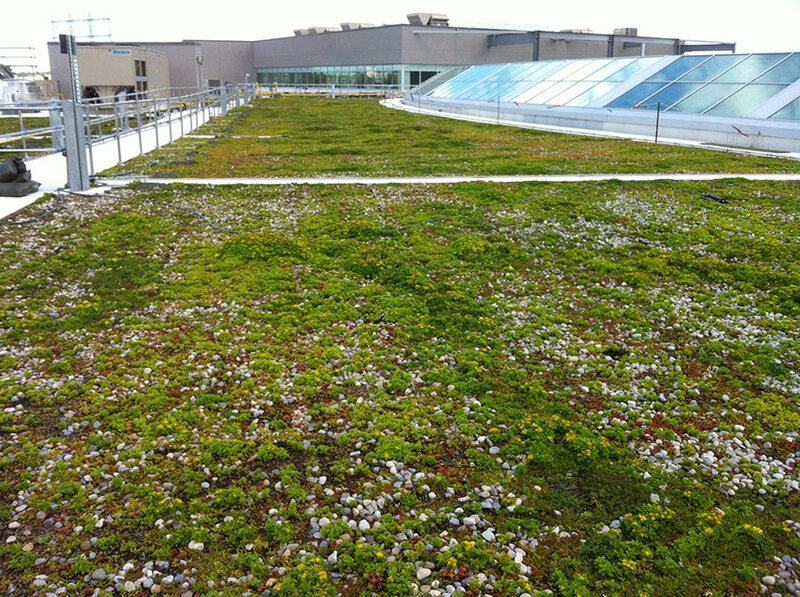 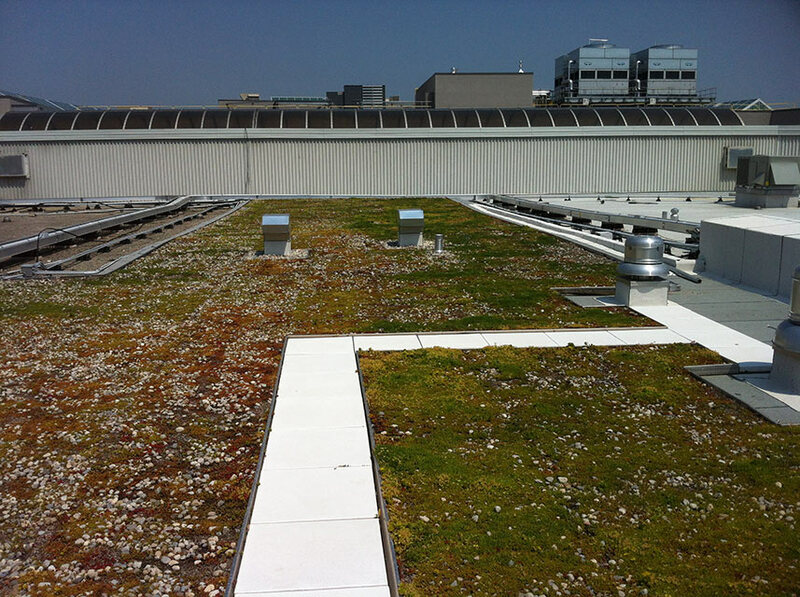 Installed on the roof of the Sherway Gardens expansion project, this living roof is the largest vegetated roof on a freestanding commercial structure in the Greater Toronto Area (GTA). 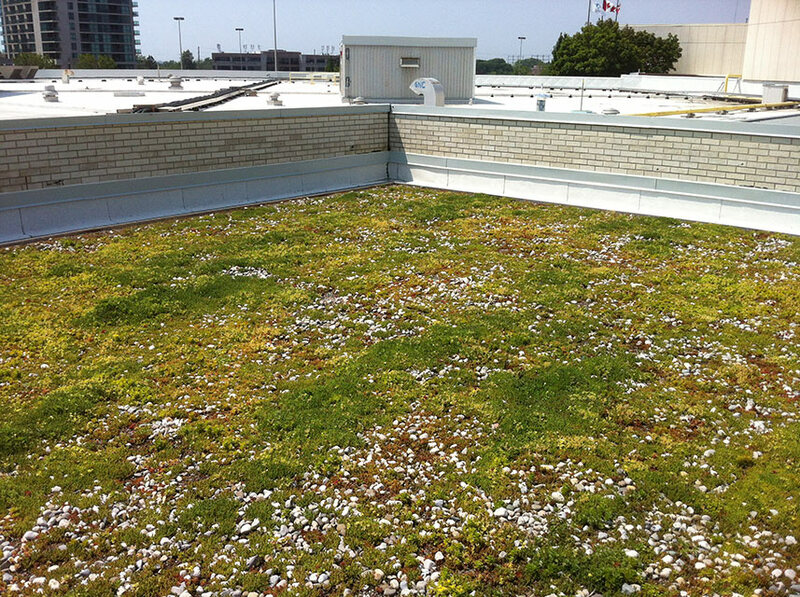 The green roof will reduce heating and cooling costs, extend the life cycle of the roof membrane, lower the heat island effect in summer, and help slow storm water runoff. 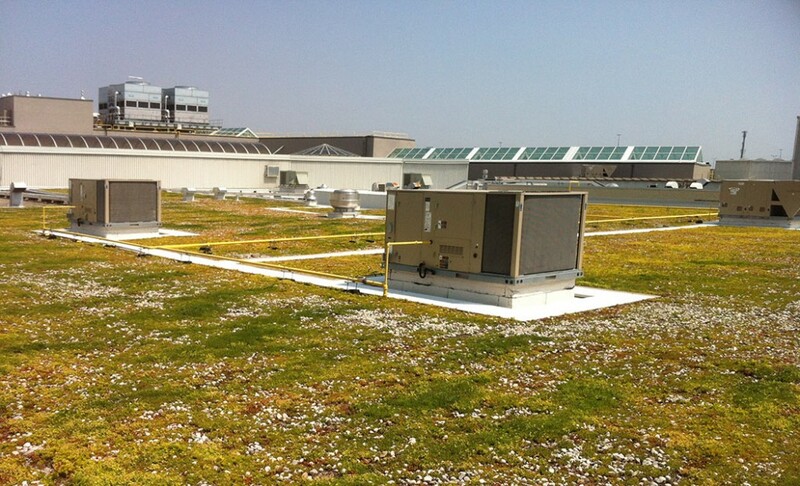 The roof also contributed to the building attaining LEED certification.